In an SGX filing on Jan 11, City Developments Limited (CDL), First Sponsor Group, and Tai Tak Estates announced that they have completed the acquisition of the Le Meridien Frankfurt Hotel in Germany. The three companies had announced their intention last month to form a joint-venture partnership to acquire the property. In a Dec 7 announcement, the partners stated that the expected total consideration for the acquisition would be $135.9 million including transaction costs. 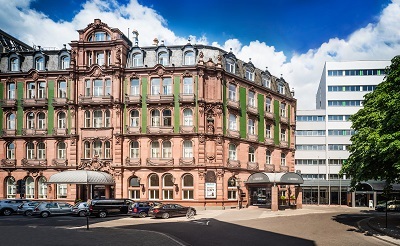 The Le Meridien Frankfurt Hotel is a freehold property located in the city centre of Frankfurt, Germany. It sits on a 47,415 sq ft site area. The hotel comprises two buildings, a historic part with a monumental status built in 1905 that has 80 rooms, as well as a modern part built in the 1970s that has 220 rooms. The hotel also has 7,212 sq ft of conference space. CDL also announced on Jan 11 that CDL Hospitality Trusts (CDLHT), a stapled group comprising CDL Hospitality Real Estate Investment Trust and CDL Hospitality Business Trust, has sold its properties Mercure Brisbane and Ibis Brisbane for A$77 million ($80.89 million). According to CDLHT, the sale price translates into an attractive exit yield of 5.3% on the fixed rental, representing a 43.4% premium over the original purchase price of A$53.7 million. Located in Brisbane, Australia, the properties are located in the CBD, opposite the Performing Arts Complex Centre and Brisbane Convention and Exhibition Centre. They comprise the 194-room Mercure Brisbane and the 218-room Ibis Brisbane which are connected at the basement and situated on a single freehold title. The property had comprised about 2.4% of CDLHT portfolio value. CDLHT now owns 15 hotels and two resorts, as well as a retail mall.